Beauty Costs > How Much Does a Gauge Ear Piercing Cost? How Much Does a Gauge Ear Piercing Cost? Ear gauges are used to gradually stretch out the ear lobe to the desired size. While this term is considered slang by many piercers, this type of gauging has been used traditionally in different cultures, such as those in African tribes, but it is becoming increasingly popular in our culture as well. How much does an ear gauge piercing cost? The prices vary depending on the part of the ear that you would like to be gauged and the size of the gauge. On average, most people tend to either choose between a 14 or a 16-gauge piercing. 14 is a good starting point for those who have their ears pierced, while 16 is where you should start if you never wore earrings before. On average, gauging the earlobe can cost between $20 and $45 per ear. If the ears need to be stretched, a separate fee, usually $10 to $20, may apply. Ear gauge starter kits are available to those who are able to do the procedure. These kits start at $15. The most common gauging performed is in the outer ear. Inner ears can also be gauged; however, this is not as common as having your outer ear gauged. During the piercing, a piercer will use a dermal punch and can use a few techniques, depending on his or her preference. They can either use a needle receiving tube that’s placed behind the ear or if they use forceps, he or she will place the forceps on each side of the ear. If they are freehand, they will hold the top of the ears. Regardless of the method you use, you will feel pressure and immediately following this, they will insert the plugs. The plugs will be inserted from the front with an o-ring on the back to secure it to your ear. After gauging, oils, such as Jojoba or vitamin E, should be applied to avoid infection and there are several products available to do just this. Oil is applied to the skin where the procedure is done and it can cost at least $10 to $20. Most shops will supply you with this oil when you go home. Plugs that you place in the newly gauged part must be purchased separately. A typical earring costs $4 to $15, depending on the style and size that you want. According to the online retailer MinkyMonky.com, the gauges on their site can range anywhere from $2 to as much as $20 per set. While you may not be thinking about it now, the hole won’t heal as a normal piercing and cosmetic surgery will be needed to fill the hole. This can cost anywhere from $200 to $500 per ear, depending on the severity of the damage. To avoid this surgery, you will won’t want to go larger than a 2 – 0 gauge. Talk with the piercer ahead of time to discuss the sizes and gauges. It’s best to see the sizes in person to see if it’s either too large or small. Usually, if you don’t want to stretch your earlobes, the piercer will use either a 14, 16 or 18-gauge jewelry for your earlobes. The gauges can be a 14 gauge or larger and can give you ears the appearance of stretched ears. To clean your ear gauges, remove your plugs and squirt a pinch of dishwashing soap on it while rubbing it in. Rinse the earring with cool water and pay close attention to the surface to make sure all the dead skin cells are gone. Once rinsed, drip a small amount of emu oil on a clean cloth and proceed to rub it on the ring. If your gauge is made from an organic material, you don’t need to apply the oil. Before you place your gauges back in your ear, rub your finger around the inside of your earlobe piercing with liquid soap and warm water. Yes, ear gauges can go wrong. As per this Reddit.com thread, the ears can become infected, causing the ear to tear. After the procedure, your ears may be sore after stretching. Other side effects include irritation, infection and dried earlobes. After the piercing, if you find any redness, itching, discharge or swelling, then this could be a sign of an infection. This can be a serious issue and must be taken care of as soon as possible. 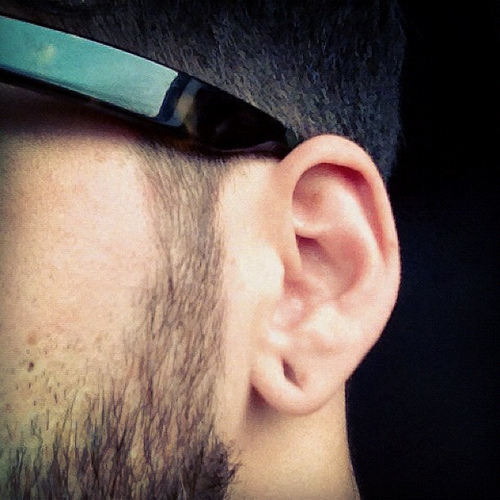 Stretching your ear to the desired size can’t be done at once since it may cause damage to your earlobes. Experts recommend waiting at least a full month to help your lobes loosen up a bit. The slower you’re able to go, the better the results will be. With any piercing, talk with three to five reputable piercers in your area. Don’t focus on the price, however. Pay close attention to their experience, licensing and the cleanliness of the facility. I’ve got a set of ear gauge plug at BM25.com. It was the 1″ Organic Sono wood plug. Can’t really beat that for price. I was able to get my ears gauged for about $20. I was really glad to do this service. I was a bit nervous to begin with, but the people were very cool and it made it very easy to go through it. I think it is worth it to go through the ear gauging process. Let me just say, this was a good experience in the end, even though I was nervous at first.